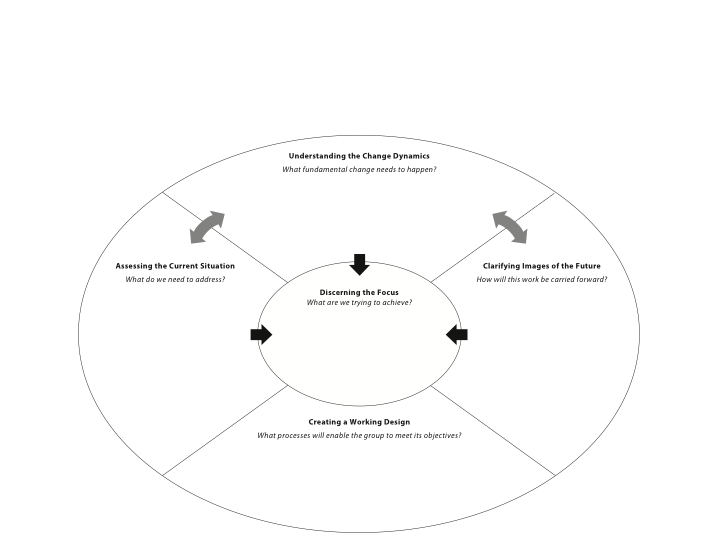 This is a facilitator, leader, educator, or change agent’s tools for designing participatory events that make a difference. 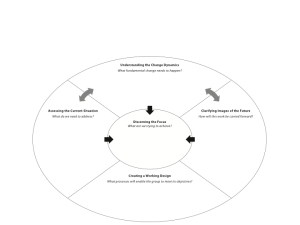 It contains the mental model and all of the questions that one asks a client or leadership team to ensure that a participatory process has the impact to bring about the necessary shift in any team or group’s understanding and practice. It is used to design single events or a whole series over several months. The design eye can used directly with the client, or in the background as a template for personal use only. An hour might get you through the design eye with the client, or longer if the intervention is complex.